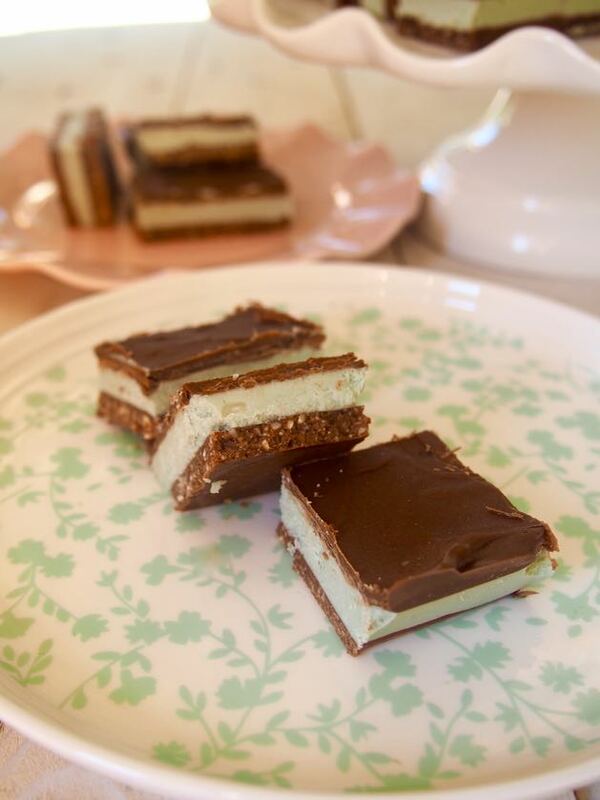 Vegan and Paleo Choc Mint Slice. This slice is freaking amazeballs! It’s a winner! 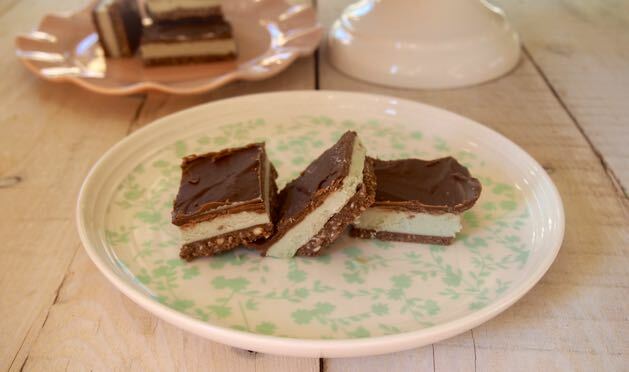 In fact, this Raw Paleo Choc Mint Slice might be our new fave (well this week anyway!). There are so many reasons why we love it and that green factor definitely gets bonus points! Since it’s Christmas time we vote you chuck out those sugar filled candy canes and make this delicious slice instead. We bet your friends and family will prefer this anyway. Perfect excuse to invite them all over for tea (or Christmas cocktails) and slice. Fun and yum! You could even make this paleo party platter for starters. 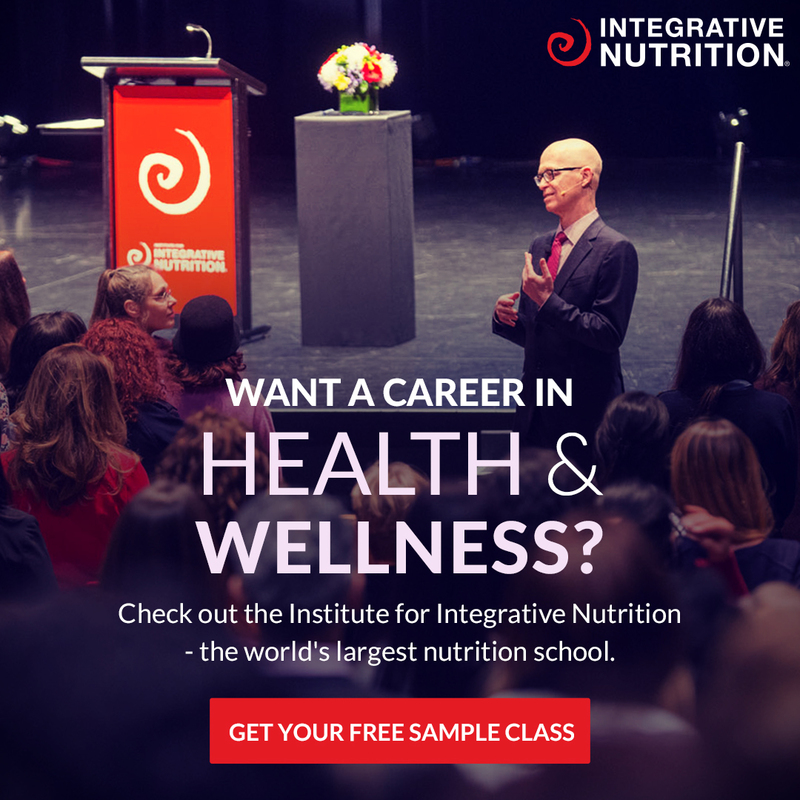 We just have to talk more about this green factor, it can not be ignored! We added a little matcha powder to get that green, minty look. Don’t worry, you can’t taste it at all. We might even add a bit more next time to make it even MORE green! All you’ll taste is the mint oil and raw cacao goodness. 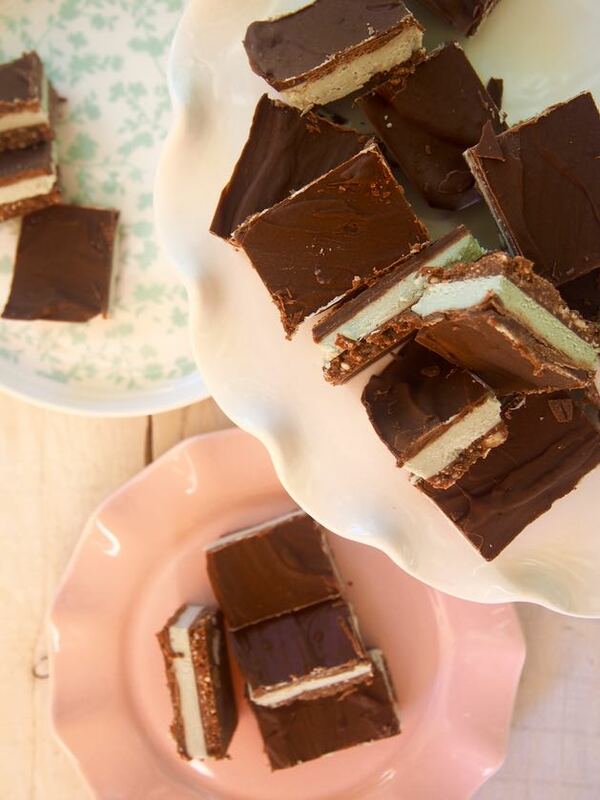 Ohhh drooling while we reminisce about this epic paleo choc mint slice! Line a 20 x 20 cm (8 x 8 inch) baking tray with baking paper, we like to use a silicone mould. In a blender or food processor place all of the base ingredients. Whiz until a crunchy butter forms. On to the filling. Rinse your food processor first. Once set, slice and ENJOY! Holley deliciousness! 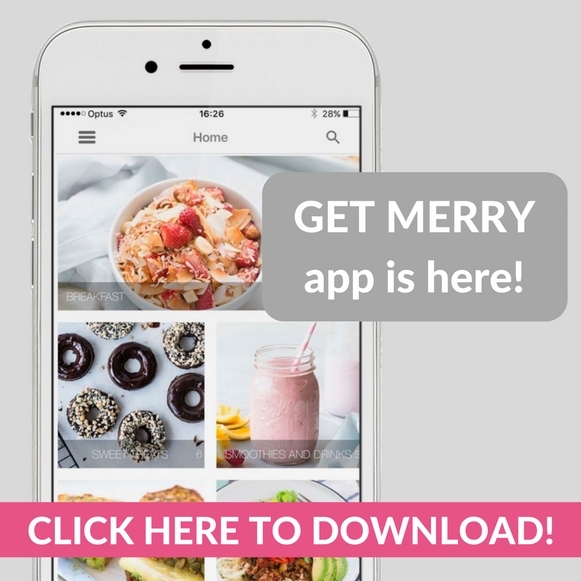 Merrymaker tip: Don't like mint? Flavour your filling with vanilla or berries or more cacao!